After arrival at Ranthambore National Park, you will check in at your lodge and enjoy relishing a delicious lunch. Ranthambore National Park is known worldwide for its tigers and it is one of the best places to see these grand predators in the jungles of India. Tigers can easily be seen walking during the daytime in Ranthambore National park. Ranthambore is counted among the most popular National Parks of North India. 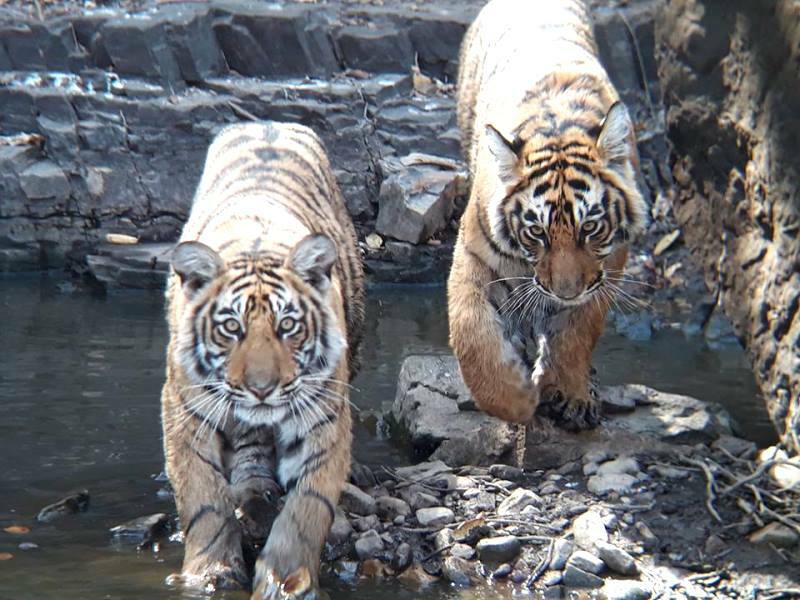 A best time to visit Ranthambore National Park is considered from November to May, when wild animals can be easily seen in the dry deciduous forest of Ranthambore. Ranthambore is the home of the unique beautiful animal "Tiger" which is best identified through its ruling area in the Forest. In addition to the tigers, Ranthambore is home to leopards, Haryana, sloth bears, wild boar, blue bull, sambar, spotted deer, Indian gazelle and Gray langur. Elusive Tiger and leopards are found in all safari zone of this National Park. Tourists have a great chance to see them in daylight during Jungle safari. Evening is at leisure in hotel or you can visit famous Ranthambore fort and Ganesh temple. Which is considered the oldest temple of Lord Ganesha in Rajasthan and it is situated in Ranthambhore Fort. You will also explore historical Ranthambore Fort which is located inside the Ranthambore National Park. The trip of Ranthambore Fort will give you the experience of the jungle safari. On the way to Ranthambore Fort, you may see herds of sambar and spotted deer. If you are lucky you may also be able to see the tiger and leopard. The Ranthambore Fort was built in the middle of the 10th century. This fort was formerly the hunting ground for the Maharaja of Jaipur descent. In 2013, Ranthambore Fort was declared a UNESCO World Heritage Site. At night, after delicious dinner, retire to the comfortable room of the forest resort in Ranthambore. Wake up early in the morning and get ready for morning jungle safari in Ranthambore National Park. Explore the Ranthambore wildlife with expert guide and driver. Jungle Safari visit to the park is around three hours and after this you will return to the hotel for breakfast. It's time to enjoy the facilities of your hotel. Possibly taking a dip in the pool to get rid of the day's heat will refresh you. Post lunch get ready for another exciting jungle safari tour into Ranthambore wildlife Sanctuary. You will be returning from the forest during the sunset. After an exciting day, enjoy a delicious dinner and staying overnight with comfortable in the hotel. Have a nutritious and yummy breakfast, thereafter check out from the hotel and leave for your onward destination. 02 Jungle Safaris in Ranthambore national Park as per the itinerary. Ranthambore Fort or other local sightseeing transfer.